From Frito Chili Pies to games and prizes for kids, there was something for everyone to be had during the 2015 REC Day, held Saturday, Sept. 19, at the Grove Civic Center. The 77th annual event drew in 1,857 registered members of the Northeast Oklahoma Electric Cooperative. 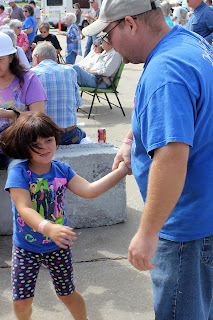 Here's a few of my favorite pics from the event. 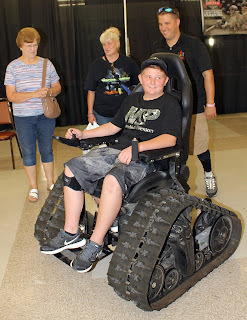 Kevin Summerlin with the Foundation for Exceptional Warriors watches as Jay Richardson, 15-1/2, from Colcord drives the tank chair. The group attended the 2015 REC Day Saturday, to let people know about its offerings for service members recognized for acts of valor or who were part of the special operations. For more information about the group, based in Pryor, persons interested may visit www.exceptionalwarriors.org or search "exceptional warriors" on Facebook. 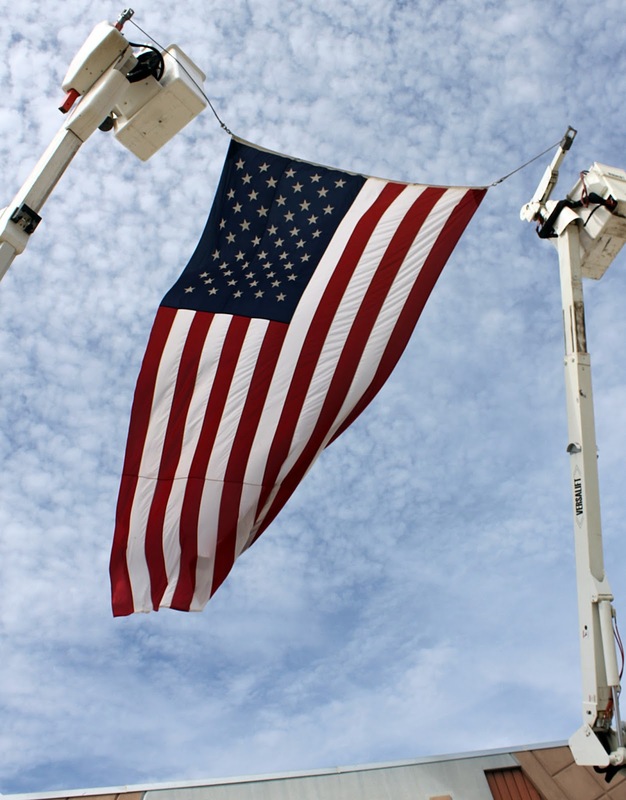 The American flag is always an iconic part of REC Day. 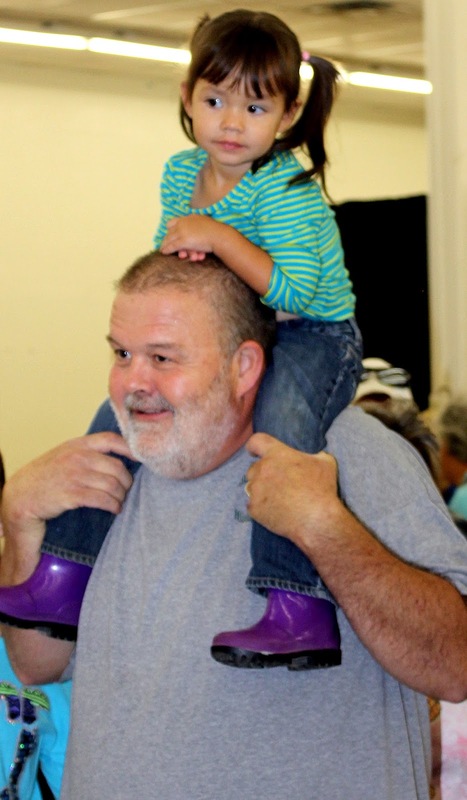 Averi Silverstone, 3, Cleora, gets a birds-eye view of REC Day on top of her grandpa's, Steven Copeland, shoulders. 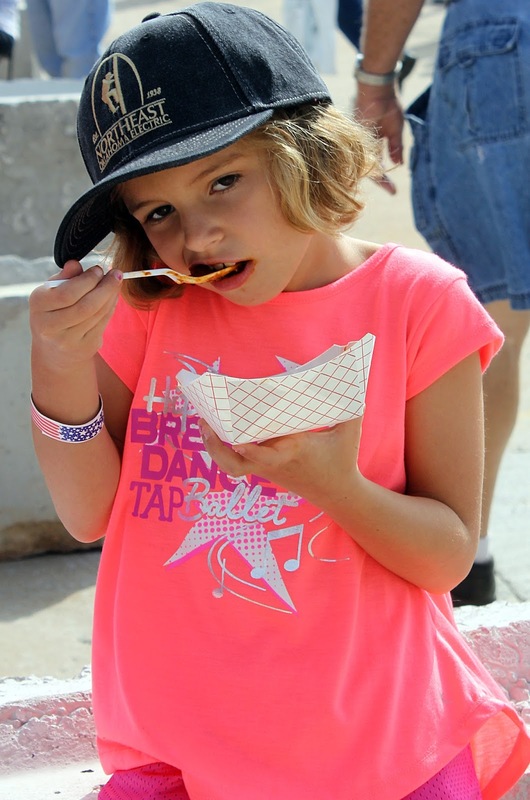 Rebekka Tuck, 7, of Langley eats her Frito chili pie during the 2015 REC Day, held Saturday, Sept. 19, at the Grove Civic Center. Dylan Hall and his band, Pure Tradition, perform during the 2015 REC Day, held Saturday, Sept. 19, at the Grove Civic Center. Hall is a native of Jay. 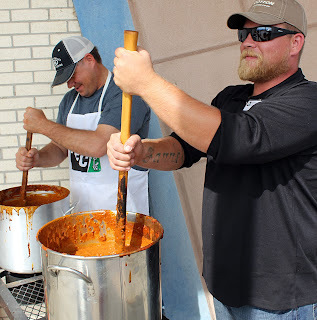 Kyle Lemasters and Charlie Coble cook up chili during the 2015 REC Day, held Saturday, Sept. 19, at the Grove Civic Center. 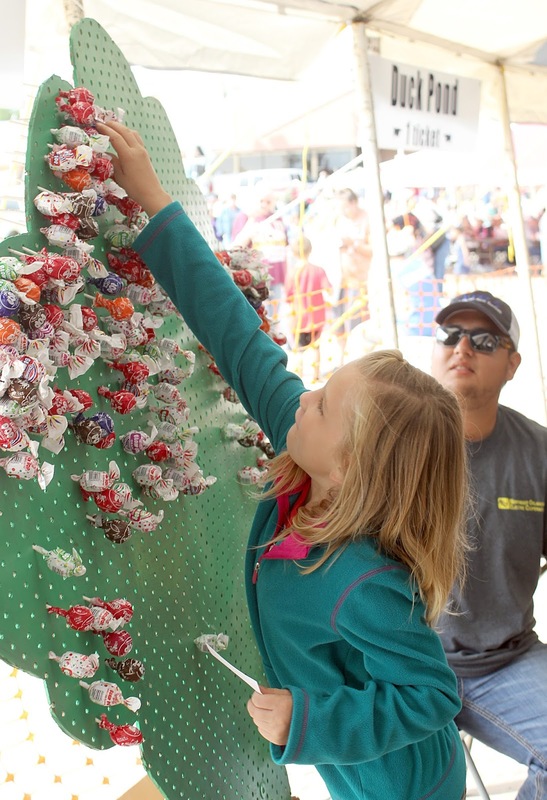 Alexis Currie, 8, reaches for a lollypop in a children's game during the 2015 REC Day, held Saturday, Sept. 19, at the Grove Civic Center. 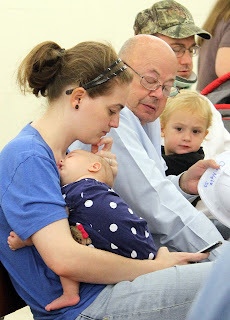 Currie won a bottle of bubbles as her prize. 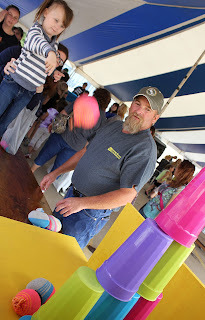 REC employee Gary Roger (center) watches as Sara Jane Mahurin, 4, tries to knock over cups during one of the children's games at REC Day, held Saturday, Sept. 19, in Grove. Shiloha King, 5, of Wyandotte, dances to the music of Dylan Hall and Pure Tradition with her uncle, James Hayworth, on Saturday, Sept. 19, during the 2015 REC Day at the Grove Civic Center. While 2-1/2-month-old McKenzie Beeson of Ketchum sleeps in her mother's arms, the rest of her family (from left) Alex Beeson, Richard Newman, Matthew Beeson, 2-1/2, and Jerry Beeson prepare for the start of the 2015 REC Day cooperative meeting on Saturday, Sept. 19, at the Grove Civic Center. 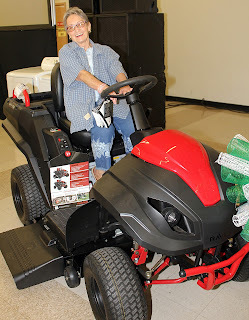 Brenda Miller of Wyandotte was the winner of the Raven ATV lawnmower, the top prize for the 2015 REC Day celebration. 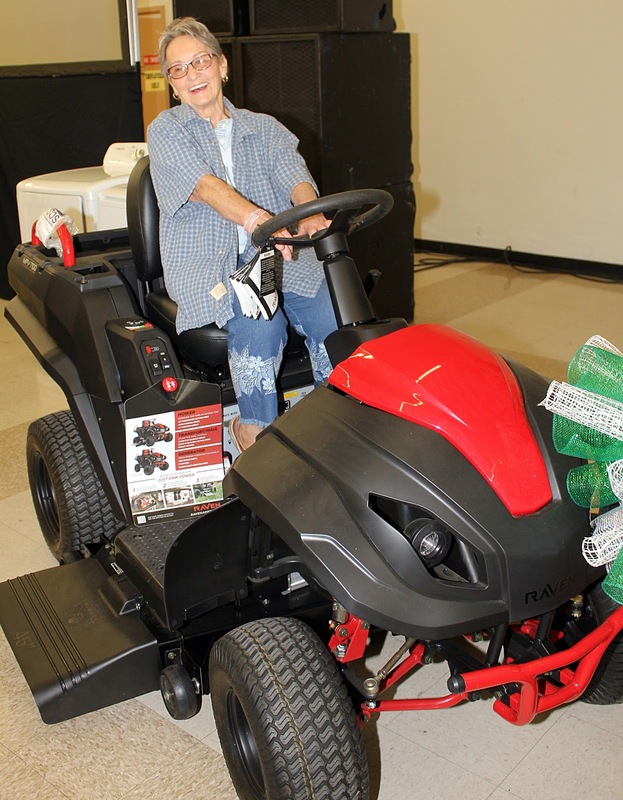 Miller joked that now that she has the lawn mower, she just needs a man to run it.